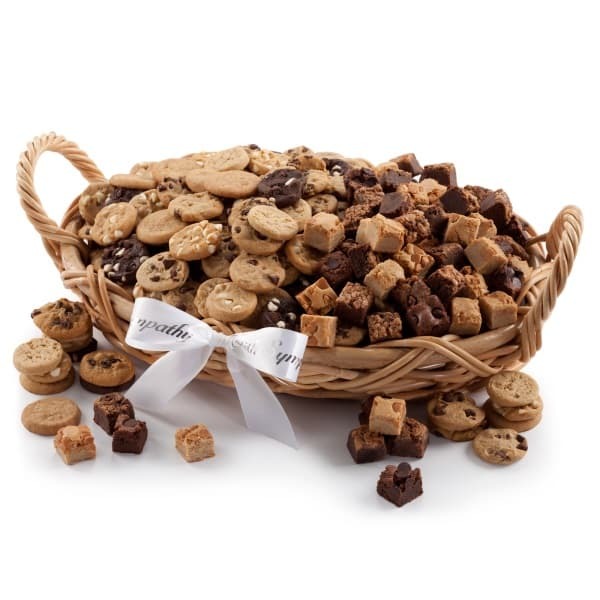 Miniature versions of our famous cookies come in an assortment of our most popular flavors sure to please every palate, plus our Brownie Bites. • Cookies taste best when eaten the same day they are received. 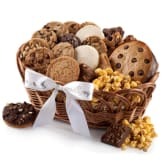 • Nibblers® bite-sized cookies come in a selection of our most popular flavors to please a crowd. • It takes about four Nibblers® bite-sized cookies to make one cookie. 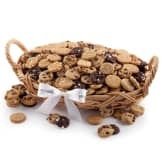 • Nibblers® bite-sized cookies come in packages of six. • Brownie Bites are wrapped in half dozens in the same special wrapper with a label to identify each flavor. • Some tips if you have to save some for later:never refrigerate- they dry out, store in an airtight container with a piece of white bread, maybe frozen in an airtight bag. • Thawed cookies can be warmed in the microwave for up to 10 seconds or a 375 degree oven for 1-2 minutes. • Frozen cookies can be warmed in the microwave for20-30 seconds or a 375 degree oven for 1-3 minutes. • All Brownie Bites contain nuts.